Annie Sloan is my girlfriend... but really though. 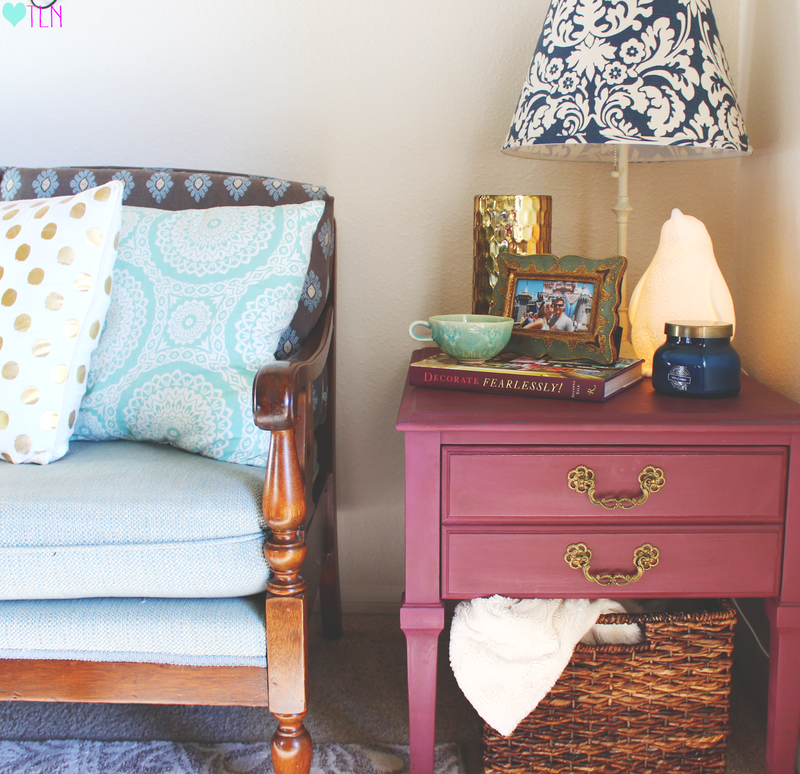 Chalk paint is the best thing EVER and restoring furniture is totally therapeutic for me. 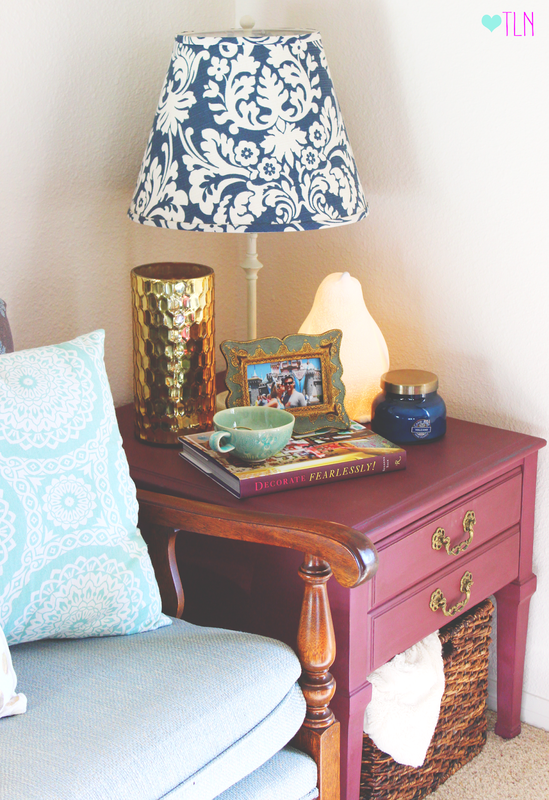 This side table I found in Consignment Warehouse wasn't awful by any means, but it wasn't what I wanted for my apartment color-wise and the previous paint job on it was a little sloppy. Just a side note, when you restore furniture, paint the INSIDE of the drawers too. I kept the hardware, it was too cute to get rid of. Although, I am usually all for replacing the hardware on restoration pieces. It gives them a whole new life. 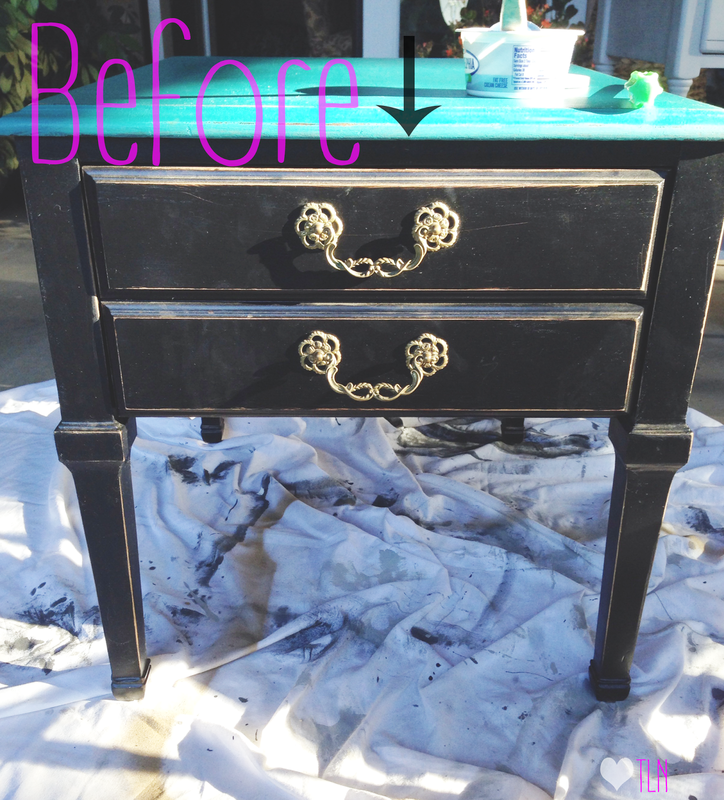 I had the perfect custom purple chalk paint color mixed at Embellish and Restore in Visalia, CA. It's an adorable little shop that offers Annie Sloan paint workshops, pre-restored, gorg furniture, wedding furniture rentals, and mini shops featuring local artists. 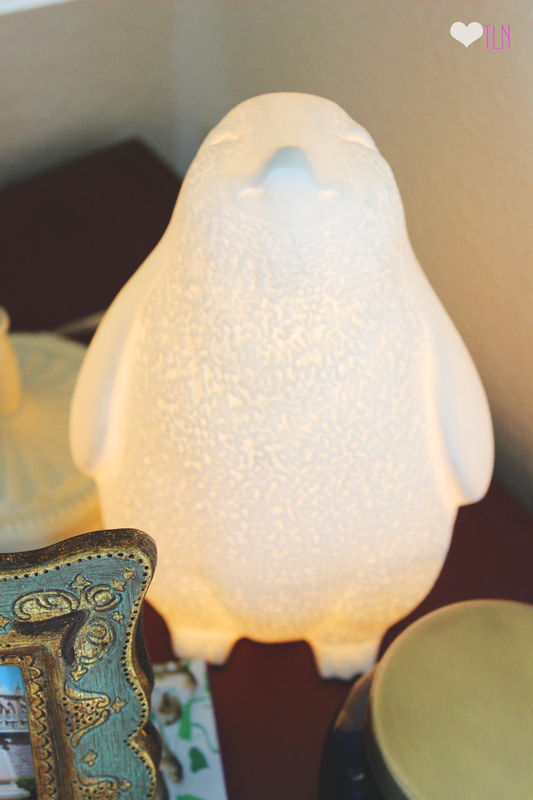 Tea cup, my most favorite lamp of all time (the happy little penguin) and the Capri Blue Volcano Candle are all from Anthropologie. 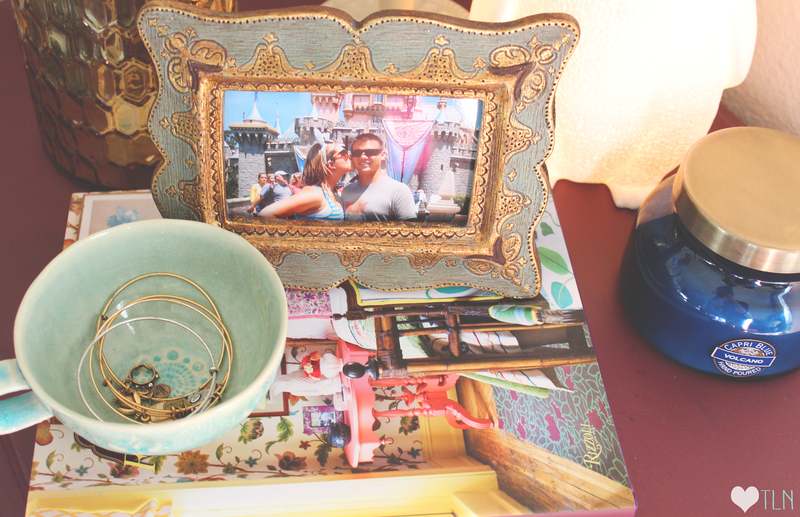 Personal and livable touches are SO important in my home decorating. There's been a recent trend away from having personal pictures around the home but you couldn't pay me enough to take mine and Matt's pictures down. Always do what feels right in your home!